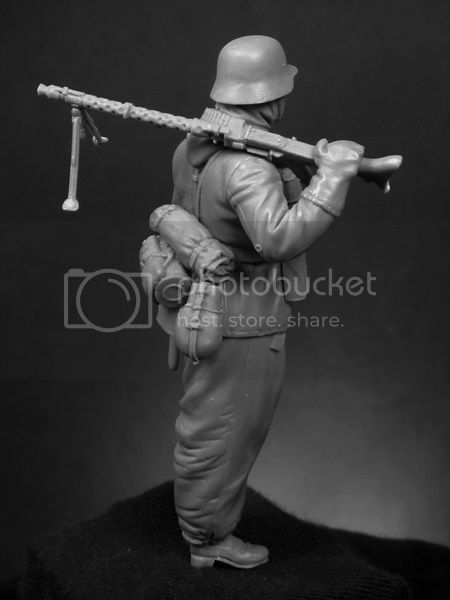 This one is my favourite soldier. 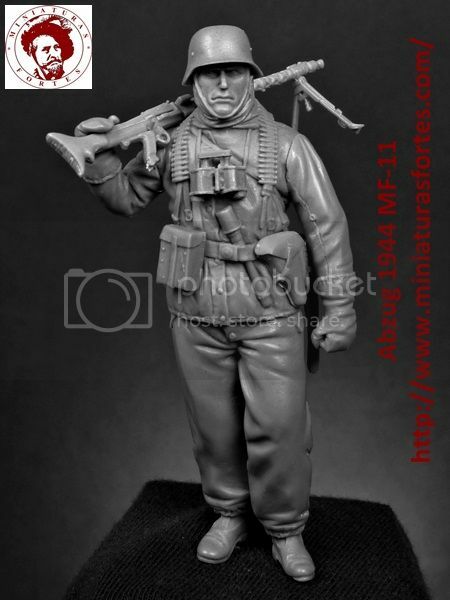 Looks danger with MG.
Is his head separately and do You offer alternative head in cap or without? 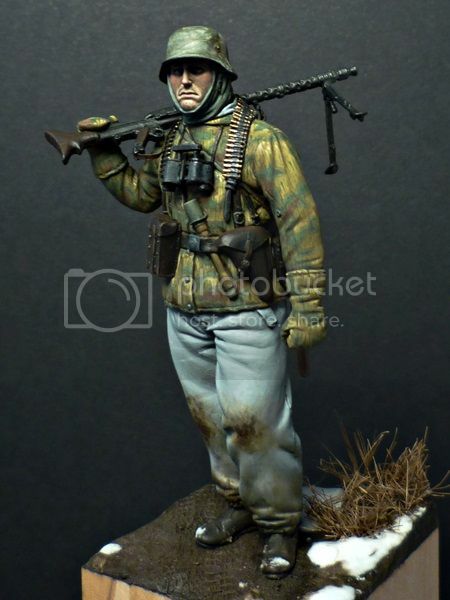 PITERPANZER pisze: This one is my favourite soldier. Looks danger with MG.
Witam Świetne wykonanie. Podziwiam i gratuluję. Borowy pisze: Witam Świetne wykonanie. Podziwiam i gratuluję. 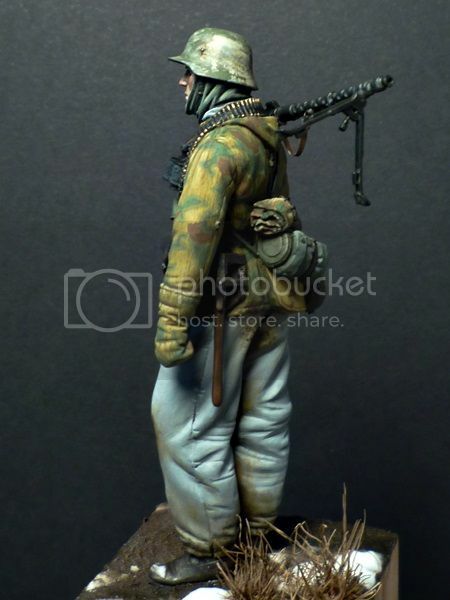 Another great figure of a German soldier. This is a subject that I like the most. 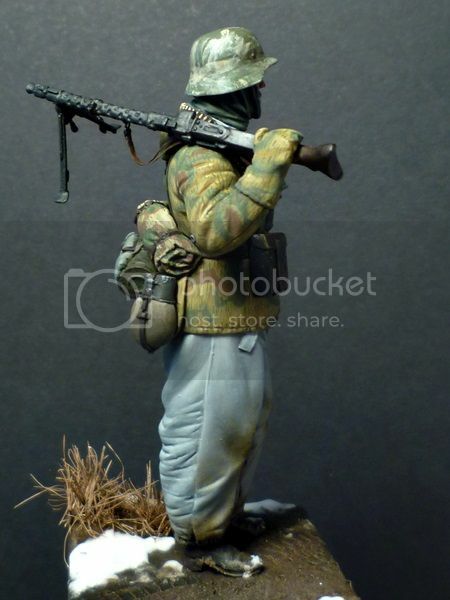 I have some figures in 1:25 scale but they are not as good as your. 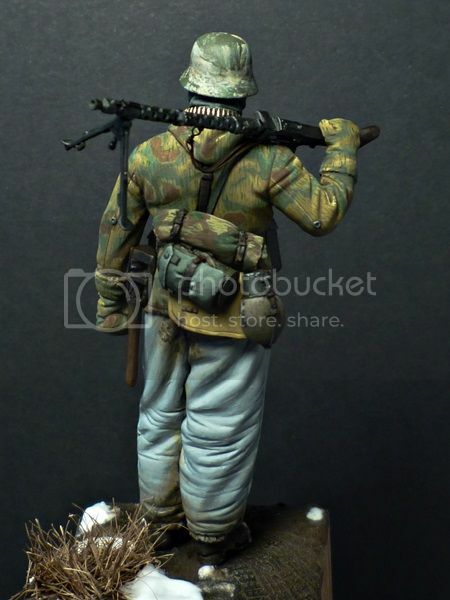 Awesome figure and a wonderful paint work. Thanks for sharing Diego.